You can load funds onto WestStein account in 3 ways. Here, we’ll explain to you the cost, duration of transfer and how to know if each way is suited for your needs. Voucher transfer (Loading by voucher is temporarily unavailable). The first and most common way is to transfer funds from a regular bank account to WestStein card account. An access to a regular bank account. Log into your WestStein account. Go to “Load funds” section. SEPA bank transfer (if you send money in Euro currency). 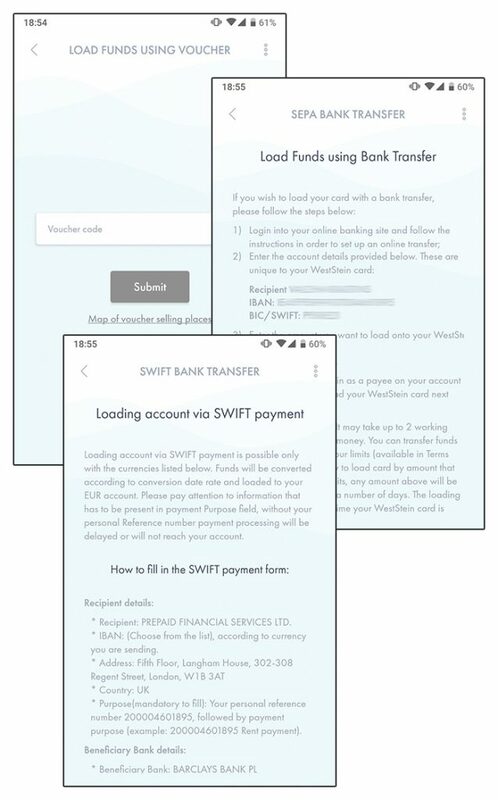 SWIFT* bank transfer (if you send money in another currency). Keep this section open, because your internet bank will ask for this information. *Please note, that incoming and outgoing SWIFT transfers are available to verified WestStein users only. Log into an internet bank. Choose to perform an international payment*. If you send money in Euro currency, use the information from the “SEPA bank transfer” tab in your WestStein account. If you send money in another currency, use the information from the “SWIFT bank transfer” tab in your WestStein account. Fill in all information and complete the payment. *Every internet bank has a unique payment system and might refer to international payments differently. Please, contact your bank for assistance. If you’re sending money from a bank account in Euro currency, the transfer costs 0,55€ and takes up to 2 working days. If you’re sending money from a bank account in other currency, the transfer costs 0,80€ and takes up to 5 working days. Choose bank transfer if you have an access to a regular bank account. It can be your or someone else’s, for example, your mother’s bank account. 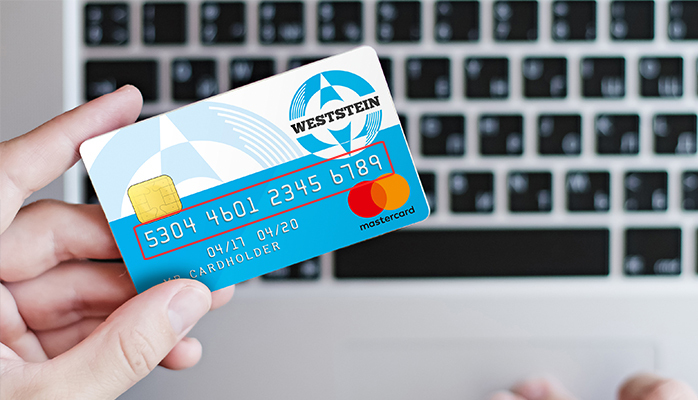 It’s the most convenient way of topping-up WestStein card, because banks allow you to enable automatic payments – your WestStein card will always be loaded without you spending any extra time. Card-to-card transfers are instant money transfers between two WestStein cards. 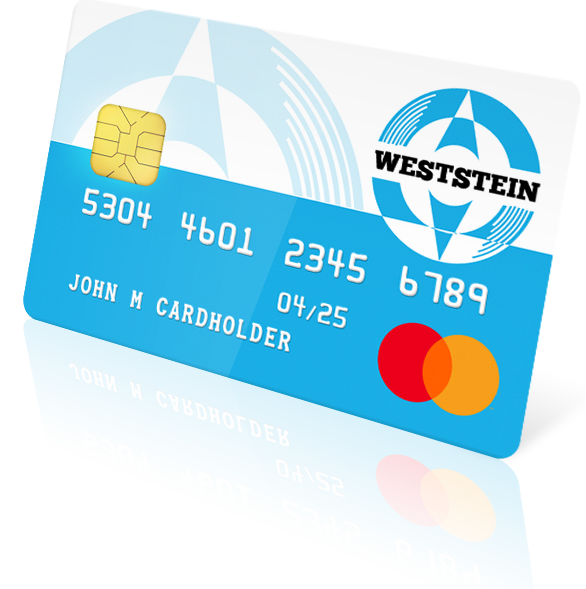 It doesn’t matter if you own several WestStein cards or receive funds from another WestStein card user – the principle is the same. Go to the “Payments” section. Click “Card to card payment”. Enter the Beneficiary card number*. *When entering the beneficiary card number, enter it WITH NO SPACES. The cost of card-to-card transfer is 1% of the amount sent. For example, if you receive 10€, you’ll be charged 0.10€ for the transfer. 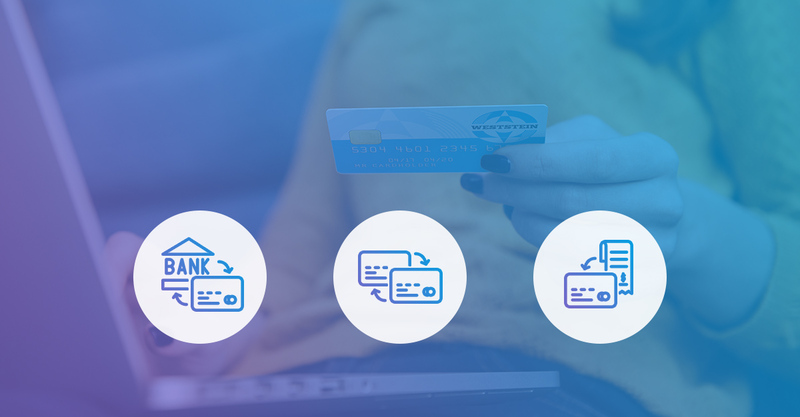 Card to card transfers are made instantly, with no delay. Transfer funds between two WestStein cards when you don’t have time to wait for a bank transfer. It’s also a great option, if you have children or elderly parents – you can help them financially by sending pocket money whenever they’re in need. 3. Voucher transfer (Loading by voucher is temporarily unavailable). 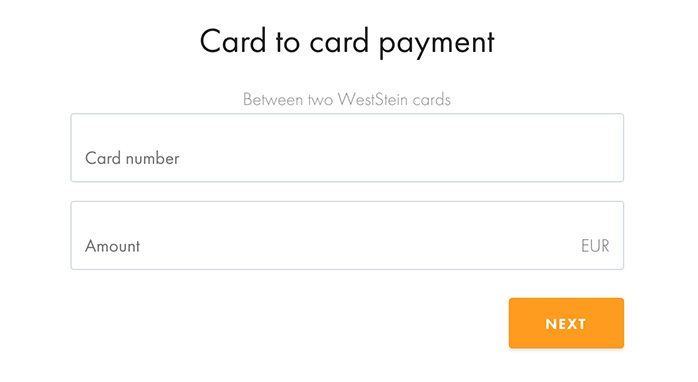 The third way of topping-up your WestStein card is with a voucher. Currently, you can purchase WestStein vouchers at any Narvesen sales point in Latvia. Soon, WestStein vouchers will be sold also in other countries – subscribe to our newsletter to find out! Find and visit the nearest Narvesen sales point. Purchase a voucher of nominal value 10€, 20€, 50€, 100€ or 150€. You’ll receive a code to enter in you WestStein account. Go to “Load fund section”. The cost of topping-up card with a voucher is 5.5% from the value of the voucher. For example, if you buy a voucher for nominal value 10€, you’ll be charged 0.55€. 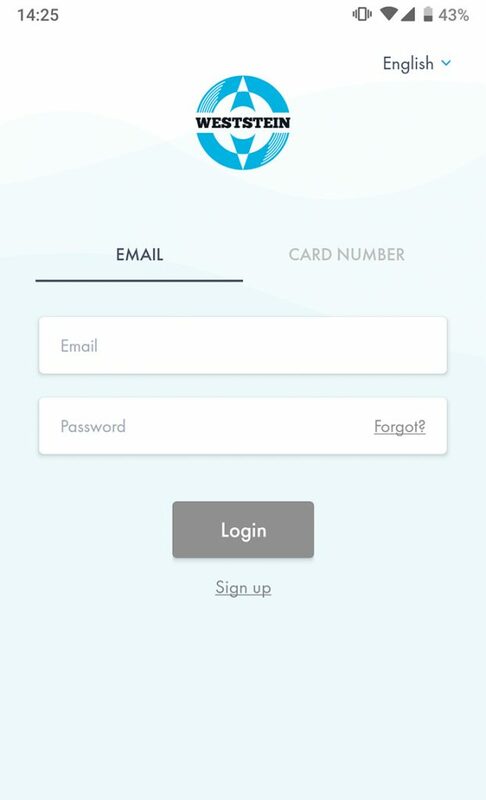 Card to card transfers are made instantly, with no delay. Once you’ve entered the voucher code, the money will be on your WestStein account. Currently, you have to be in Latvia to purchase a WestStein voucher. It’s an excellent way to load funds if you only have cash and don’t want to move it through a bank account. Some of our clients use this option to load funds that they’ve saved in piggy banks or envelopes at home. We understand, that sometimes listed guidelines aren’t enough. If you need additional help, do not hesitate to contact us in your preferred language or send us a message to [email protected] – we’ll be happy to help you! 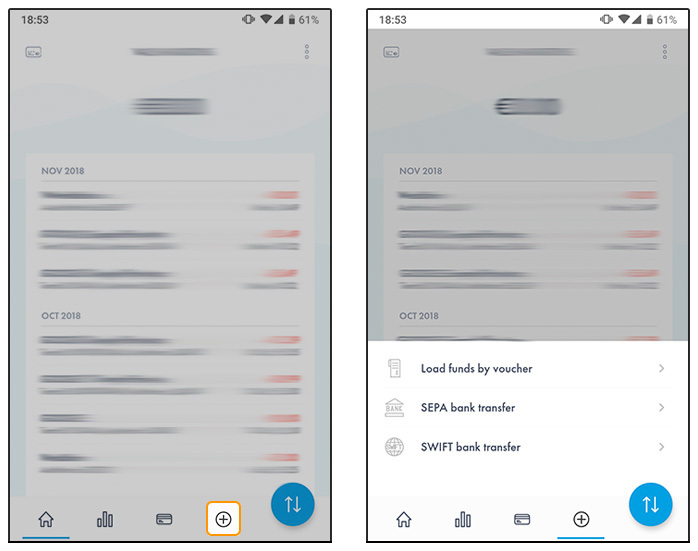 How to top-up account from your SMARTPHONE.